When it comes to reaching prospective franchisees, the internet and social media provide a wealth of opportunities for franchisors and other businesses to engage with customers or prospects. However, the number of digital franchise marketing options and information available can be overwhelming even for the most seasoned franchisor or tech-savvy businessperson. Many franchisors often ask: Which approach is best for me? The short answer is, all – or most – of them. While this advice might seem disheartening, it doesn’t have to be. Rather than viewing all digital options as an all-you-can-eat buffet, a wise franchisor sees digital marketing options more like a grocery store and works to navigate the aisles to find ingredients that will create the best franchise lead generation practices. The key is to take a multi-touch approach. Prospects may receive 10 touches or engagements or more from the time they enter the top of the sales funnel until they become an actual customer or a franchisee. 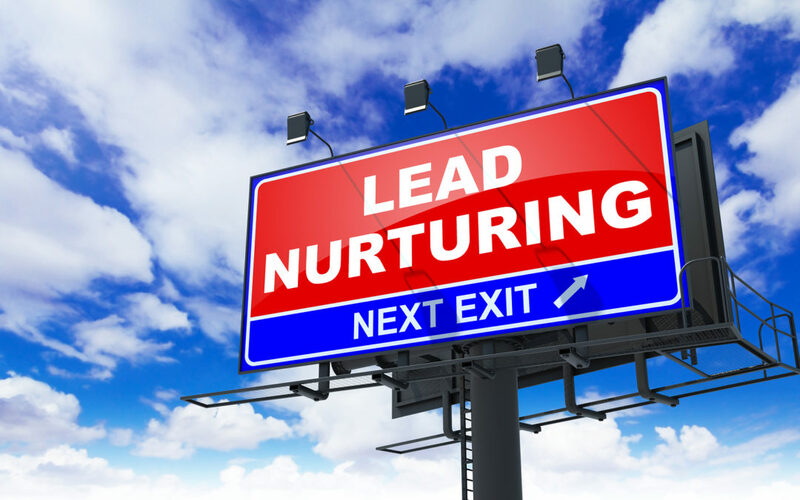 The process of engagements, or lead nurturing, is vital to the franchise lead generation and sales process. Before you even think about putting pen to paper to create a marketing strategy, picking up the phone, or creating social media calls to action, you need to define your target buyer persona. Who is the ideal candidate to own one of your franchises? The ideal buyer for a daycare franchise would be a very different buyer persona than a buyer for fitness bootcamp franchise. By creating a profile with your ideal buyer’s demographics, interests, goals, and marketing triggers, you can put yourself into the proper mindset, and use the type of language, visuals, and approaches that will resonate with them on a deeper, emotional, more meaningful level. There’s no time like the present to reach out to interested buyers. If someone just inquired about your company, their interest is likely at the highest level that it’s ever been. While some skeptics believe that contacting leads immediately might come off as desperate, you need to remember this isn’t dating – this is business. In business, it is perfectly acceptable to let a lead know that you are interested in getting to know more about them. A prospect is likely looking at multiple franchises, and you want to be the first to contact them. It demonstrates that you are a well-oiled machine/company, which is one of the reasons they would invest in your franchise – you know what you’re doing, and you’re good at it. A 2011 study from Harvard University analyzed 1.25 million sales leads to determine the most effective time to reach out. That’s quite some time ago, but the size of the study makes the data worth paying attention. The study found that firms that tried to contact potential customers within an hour of receiving a query were nearly seven times as likely to qualify the lead – defined as having a meaningful conversation with a key decision maker – as those that tried to contact the customer even an hour later. They were more than 60 times as likely to qualify the lead as companies that waited 24 hours or longer to make contact. Digital franchise marketing is technically easier now thanks to email automation services that offer customizable templates and drip campaign options. However, that’s just one marketing channel, and a sizeable chunk of emails routinely go unanswered. That’s just the nature of email marketing. The key is to use multi-channel digital franchise marketing. That means to interact with leads using a combination of indirect and direct communication approaches and channels – your website, email newsletters, social media, texting, phone calls, and in some cases, pay-per-click ads. The goal is to stay top-of-mind with the prospect. Even though they inquired about your brand they may not be ready to invest immediately. But if you provide valuable information in a timely and consistent fashion, they will think of your brand once they are ready to take the next step. All of your existing marketing campaigns – even those not targeted at potential franchisees – and sales processes must be in line with your overall brand message and selling points. If you’re selling your customers on your amazing menu items, you can’t simply sell potential franchisees on your low buy-in option. It’s crucial that your brand voice and message remain the same across the board, in all of your channels. But you’ll want to share different messages based on where the prospect is in the decision-making process. You’ll also want to create a variety of support material to share with the prospect to keep the momentum going. Most importantly, you must be consistent with your leads as they travel through the sales funnel. If you have multiple individuals involved in the marketing and sales process, it is vital that you clearly communicate your expectations to each member of your organization. This is too much for many emerging franchisors and some established ones without in-house expertise in this area, which is why it can help to partner with an experienced digital marketing agency. They can help you customize a strategy and guide you through the process to consistent and effective franchise lead generation. For more information on how TopFire Media can help you use digital franchise marketing to generate quality leads, click here.